If you’re trying to find a place for a quick smog check in Sonoma, you can always come to Mike Larbre Automotive. 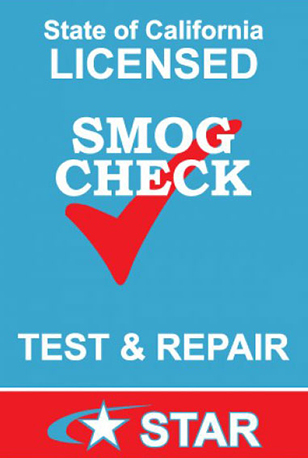 We’re licensed by the state of California to perform your smog test, along with any potential smog repair you might need. Having your car tested and approved is a requirement for registration in California, and for good reason – we all benefit from cleaner air. Even so, we understand that bringing your car into a shop for a smog check or other general auto repair services can feel like a hassle. Sonoma drivers have things to do and places to be that don’t involve sitting in an auto repair waiting room. This is why one of our core values is doing quality work in a timely fashion. You shouldn’t have to sit around forever waiting for your smog test to be completed. When it’s done, you should feel confident knowing the results are going straight to the DMV with no hiccups. If a repair is necessary in order to pass the smog check, you don’t have to drive all over Sonoma to have the repair completed. We can do it right here in the same shop. As a licensed smog check and repair facility in Sonoma, we’ll take great care of your vehicle and make sure you’re happy when you drive away. We offer competitive and fair prices, and are available for a wide variety of other auto repairs on many makes and models. Please schedule an appointment online or give us a call anytime!